This past Tuesday was Shrove Tuesday, also known as Fat Tuesday. 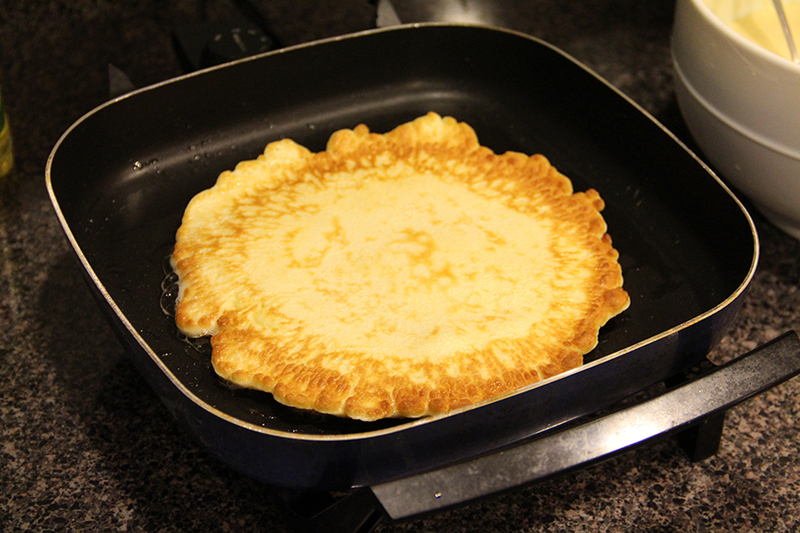 When I met first met my husband, he talked about Shrove Tuesday and Shrove Tuesday pancakes. He told me stories about eating them for dinner each year. This was totally foreign to me. I had no idea what he was talking about and had never heard of this “holiday.” Growing up, his family always celebrated Shrove Tuesday as an English tradition. It was something they did for fun and looked forward to year after year. My sister-in-law, Amy, was kind enough to be a guest blogger and to share the traditional Shrove Tuesday Pancake recipe passed down through their family. Rather than this being a recipe and history of my Grandma Dora’s, it’s an old one of another important family to me, the one that I married into. 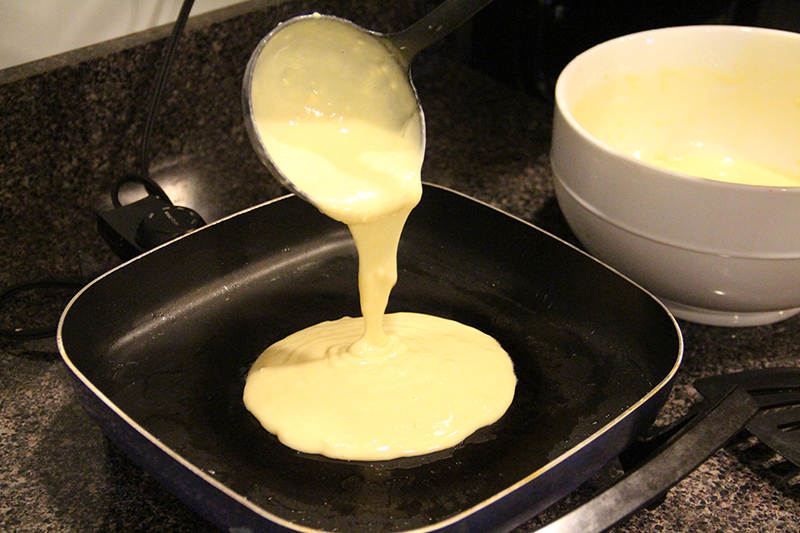 Shrove Tuesday Pancakes – Written by Guest Blogger, Amy. Our great-great-grandfather, Frank, came to America 1874, in search of a better life than he had known as a member of the working class in England. He spent eight years working for his uncle and cousins, until he could pay back the money his uncle had loaned him for his passage to America and earn enough money to buy his own farm land. In 1892, he married a young Baptist woman named Lemira. They attended the local Baptist Church, but Frank maintained his membership with the Church of England. In 1900, tragedy struck when Lemira died suddenly and unexpectedly at the young age of 28. Frank was devastated and knew their four small children needed a woman to care for them, so he wrote to his sister in England and asked her to come. 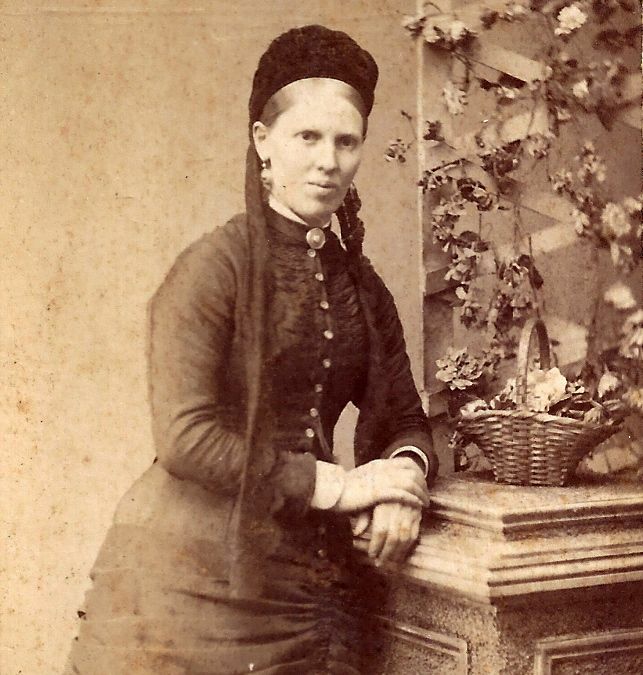 Fanny, whom the children always called “Auntie,” gave up everything she knew in England to live with her brother’s family and help him raise his children. “Auntie,” who passed down our Shrove Tuesday traditions. Most of our family traditions came with Auntie from England. I assume the Shrove Tuesday tradition was originally part of their commitment to the Church of England. The idea was to use up ingredients that could not be eaten during the season of Lent. For us, it was just a fun family tradition. Fry in oil skillet. 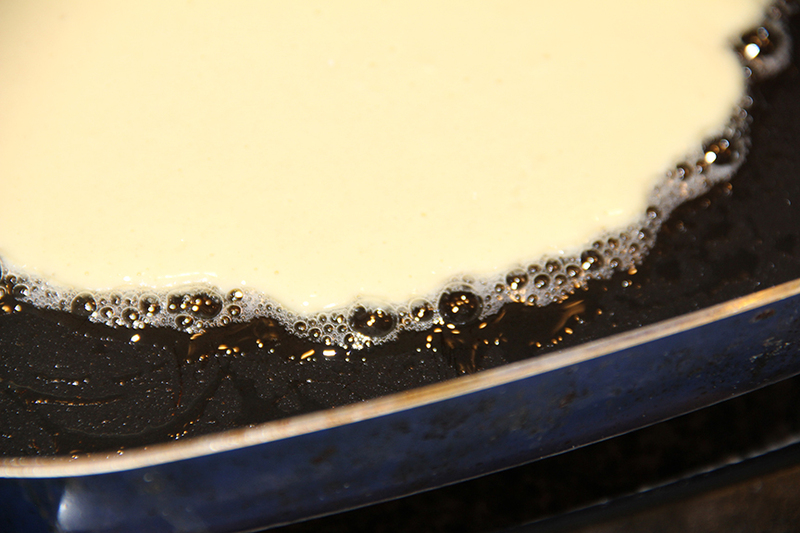 Cook until the edges have bubbles and are light brown, then flip until the other side is light brown. Serve with lemon, lime or orange juice and sugar. You can use syrup if you prefer. I gathered the ingredients and got to work. I used 8 eggs and started by beating them with the two cups of milk. Great Grandma always used a fork instead of a whisk, so that’s what I did. 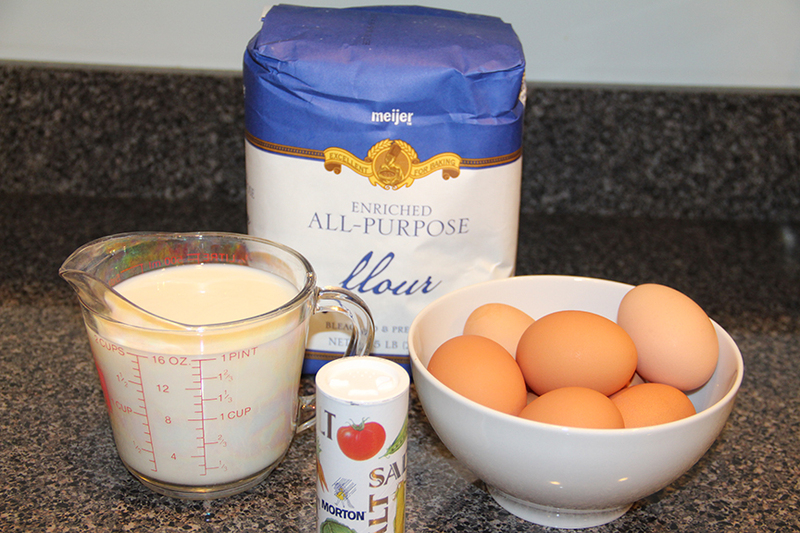 I then added the pinch of salt and the flour, mixing in one cup at a time. 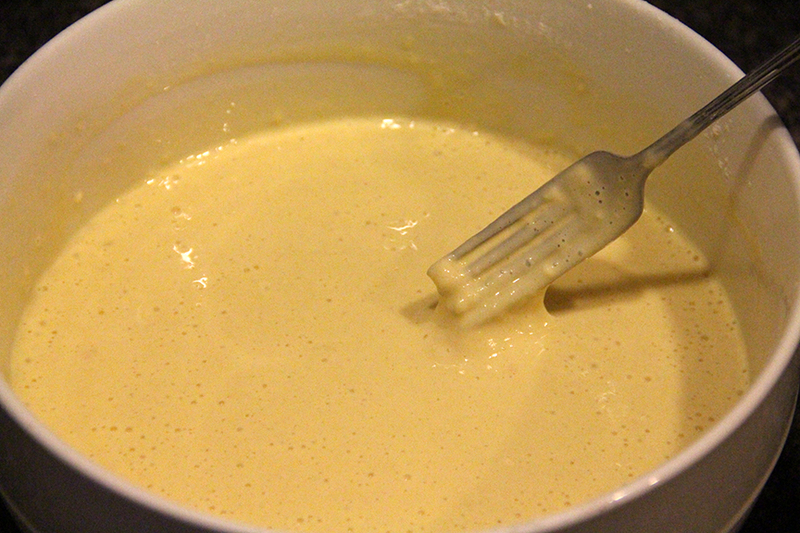 After adding about 3 1/2 cups of flour, it seemed to be the right consistency. It should drip off the end of the fork, but not be runny. I heated a small amount of oil in my electric frying pan and used a ladle to scoop the batter into the frying pan. 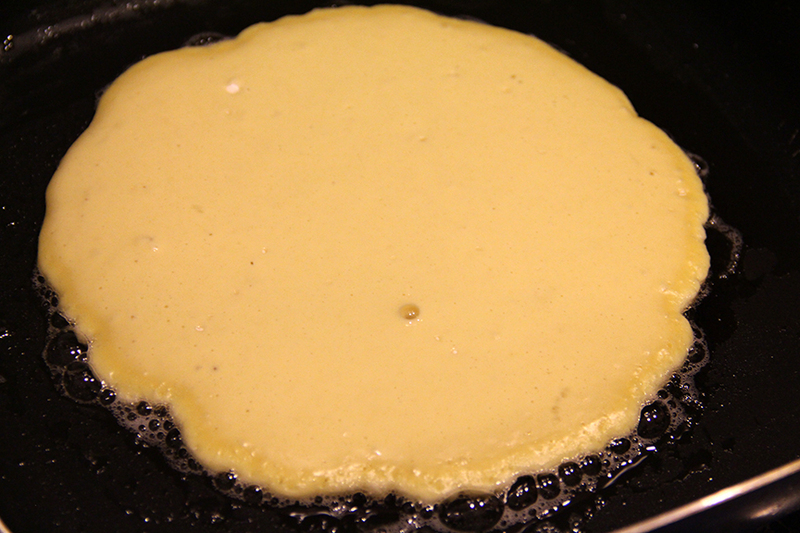 You’ll know it’s time to flip the pancake when it gets a little bubbly and you can see the edges beginning to cook. When you flip it, the side that has been cooking should be light golden brown. The edges curled upward slightly, so I pushed them down with my spatula to make sure they were getting cooked in the oil. When the bottom side also looked golden brown (I usually had to peek a couple of times), I took the pancake off the heat. 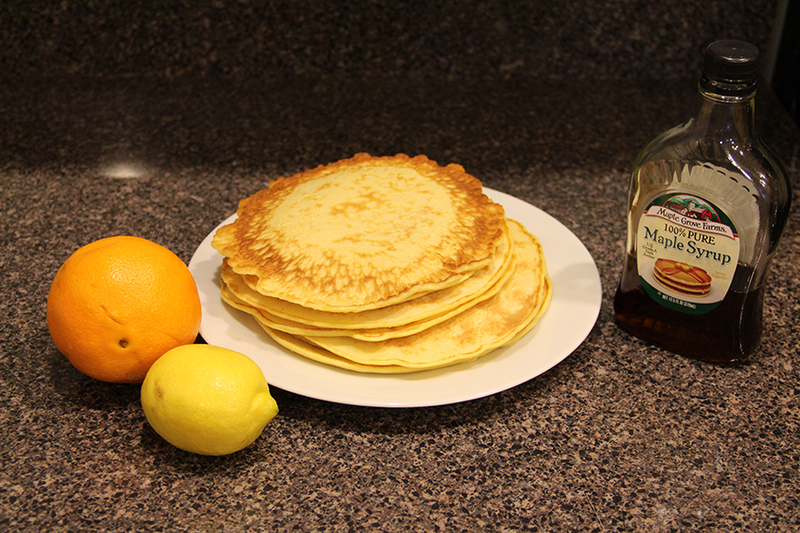 Traditionally, we would sprinkle the pancakes with sugar and then squeeze lemon juice or orange juice over them. A few of us – I won’t name names – used to cheat and use syrup. That’s all there is to it! This recipe made 8 big pancakes, which was enough to feed my family of four with one pancake left over. I hope you enjoy a tradition that my family looks forward to each year. Try it and it may become a favorite of yours too! Amy, Guest Blogger and sister-in-law of Wendy. This entry was posted in bonus recipe, Breakfast, Meals and tagged Breakfast, fresh fruit, pancakes, scratch cooking, Shrove Tuesday, tradition by GrandmothersRecipeBox. Bookmark the permalink. 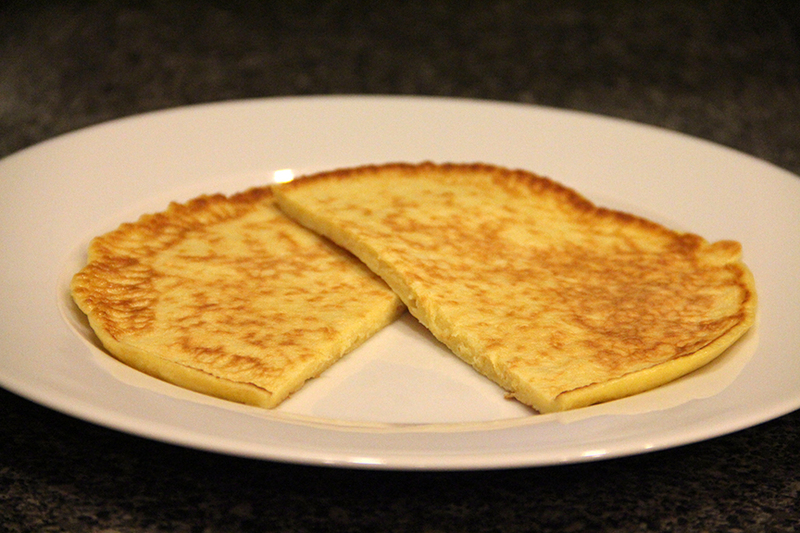 I love those crispy edges on pancakes.